New York: P. J. Kennedy & Sons, 1966. Black pebble textured zippered cover with only a tad of edgewear. Gilt lettering on spine and three gilt crosses on front. 1280 unmarked, red-edged pages with 5 ribbon markers, containing the official texts of Masses offered every day of the year and the complete Psalter. Would make a wonderful gift!. Simulated Leather (Soft Cover). Near Fine. 12mo - over 6¾" - 7¾" tall. Grand Rapids, Michigan: Zodervan Publishing House, 1991. 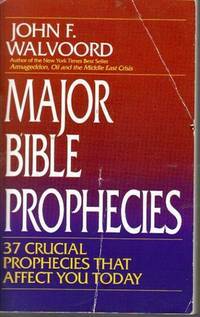 Makes Bible prophecies easily understandable for every Christian. 450 pages. A tight, clean copy with edgewear and creases to cover.. Trade Paperback. Good. 8vo - over 7¾" - 9¾" tall. New York: Charles Scribner's Sons, 1956. A guide book for readers of the Old Testament. 240 pages tight and clean. Former church library book with pocket inside front cover. Cloth binding is lightly soiled, has a hole near bottom of spine. Page 156 has a small tear at bottom.. No Edition Stated. Cloth. Fair/No Jacket. Illus. by Marjorie Quennell. 8vo - over 7¾" - 9¾" tall. Ex-Library. By DONOVAN, The Reverend C. F.
Chicago: Patrick L. Baine, 1927. First Thus. 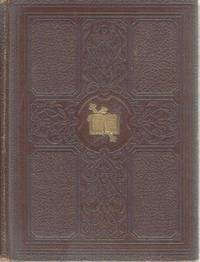 Heavy Brown covers embossed with Cross and Gilt Bible over Cross in center. Marbled page edges,pictorial end papers entitled Defenders of Faith in the Early Days. Frontis piece is Colored picture of the Holy Family with children looking on. Tissue overlay with a couple of tears at gutter edge. 746 heavy pages tight and clean. "Answers to Charges Made Against the Church; What We Have Done and Are Doing." . First Thus. Embossed Simulated Leather. COLLECTIBLE VG/No Jacket. 4to - over 9¾" - 12" tall. Sisters, Ore.: Multnomah Publishers, 2001. 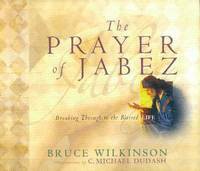 Discover how the remarkable prayer of a little-known Bible hero can release God's favor, power and protection. 93 pages, illustrated. 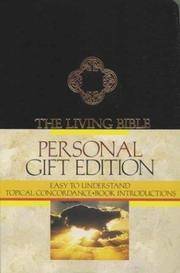 Gift quality, with special inscription page. . First Edition. Pictorial Hard Cover. Fine/Fine. Illus. by C. Michael Dudash. 8vo - over 7¾" - 9¾" tall. Nashville: The United Methodist Publishing House, 1992. 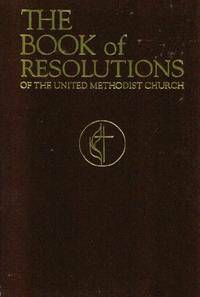 Collects in one volume all current and official social policies and other resolutions adopted by the General Conference of the United Methodist Church from 1968 to 1992.. Soft Cover. New/No Jacket. 8vo - over 7¾" - 9¾" tall. New York: Macmillan Co., 1952. First Edition, 1952. Red cloth binding shows a bit of wear at the corners. Dust jacket is fair with many chips and small tears, protected in archival Mylar cover. 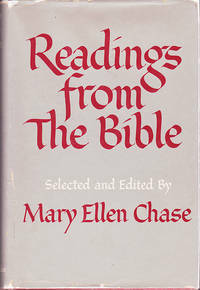 Bible readings selected and explained by novelist and professor of English at Smith College. Ex-owner's inscription inside front cover.. First Edition. Hard Cover. Good/Good. 8vo - over 7¾" - 9¾" tall. Grand Rapids, Michigan: Wm. B. Eerdmans Publishing Co., 1966. Simplified Greek commentary for the English Bible student who is not acquainted with Greek and has no formal training in Bible study. . Soft Cover. Good. 12mo - over 6¾" - 7¾" tall.